While everyone is celebrating New Year’s Eve I’m taking a moment to reflect on the last twelve months. In one short year so much has happened. Weddings. Graduations. Illnesses. Deaths. Loss. Relocation. 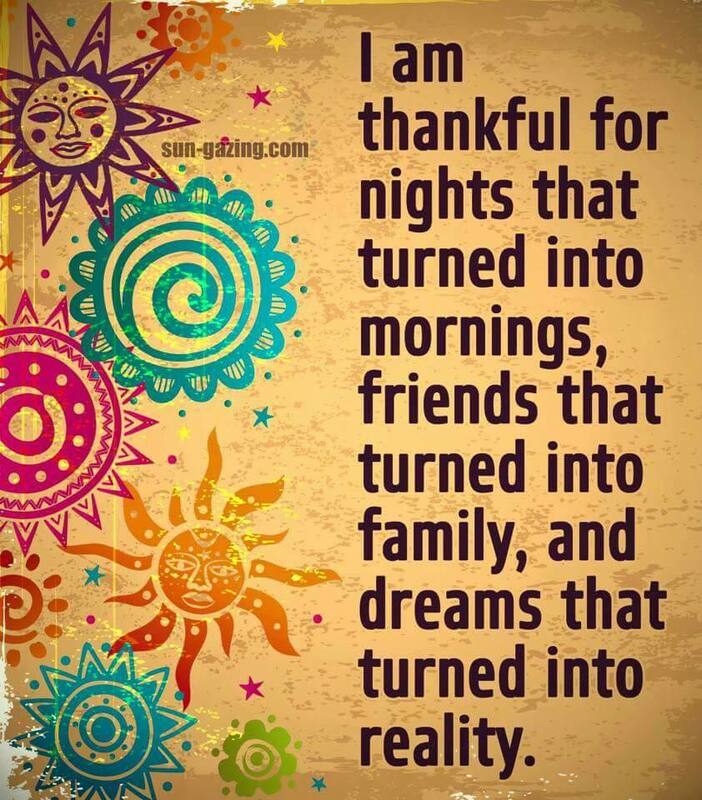 I might be tempted to write a sappy blog about the highs and lows of a hellish year, but all I feel is gratitude. But not anymore. If I were to make that trip today I would be jet-lagged and ill. The change in altitude would rev up my Meniere’s disease sending my head spinning. Nonetheless, it would have been an exciting way to welcome in 2016. This time last year I was sitting with family in a vacation rental near Moolack Beach. We call it our Griswold Family Christmas. Most of us were sick. To make matters worse a valve in the holding tank was broken. Baby Ellie was sick. So were her parents. There was an ocean full of water outside but inside there was not a drop to drink. Twice we drove into Newport for water. We bought all the bottled water Thriftway carried, then hit up Safeway and Fred Meyer’s. In more ways than one it was the Christmas from hell. We tried to laugh, but we were miserable and ready to go home. By 10 p.m. we were all in bed, our plans to celebrate the New Year abandoned. Fast forward a year and once again I have an opportunity to welcome in the New Year on the Oregon Coast. But this time I’m eating fresh crab and sipping champagne. There is no vacation rental; there is no broken valve. There is plenty of fresh water. This year our family Christmas was awesome instead of a disaster. Celebrating with our son and family in Happy Valley we baked cookies, beaded snowflakes, and drove into Portland to see the lights at Peacock Lane as well as the red and green lights on the bridge. We celebrated the Winter Solstice at Milwaukie’s Riverfront Park, sang carols, drank hot chocolate around a huge bonfire, and watched the fire reflect in the water. Everything was magical; it truly felt like Christmas. That Griswold Christmas seems a long time ago. So much has changed. Now when I open my front door I hear the ocean instead of traffic. While friends in Idaho bundle up against single digit temperatures and inches of snow, the ground in my front yard has yet to freeze. “Happy New Year.” I clink my husband’s glass as he heads off to bed. It’s 9 p.m. We’re not going to make it to midnight. Welcome to Newport I hum as Kathy Griffin and Cooper Anderson razz each other at Times Square. I laugh at one of their jokes. The camera zooms in on the ball. The crowd behind them cheers. I tip my glass toward the TV and finish my champagne. I am warm. I am happy. I am safe. I turn off the television and put Emily, Riley, and Boo to bed. “Happy New Year,” I pat them on their heads as I retire. They waggle their tails. I turn out the lights. I am filled with awe. This entry was posted in Transitioning, year 2015 archives and tagged Bonnie Dodge, Christmas, Griswold Christmas, New Year's Eve, Oregon coast. When my grandson Dmitri was four, and I told him about Decoration Day, he thought I was talking about Christmas. He’d get excited, thinking about all the things we would do: make and hang ornaments, bake and decorate cookies, tickle, tease, and laugh as we celebrated and enjoyed a family tradition. Decoration Day meant something else to my in-laws. Each year my father-in-law hibernated in his shop until he had dozens of little crosses to which his wife attached wreaths and flowers. The whole month of May was devoted to frequenting stores, gathering plastic carnations and roses, whatever she could find to adorn the wreaths. 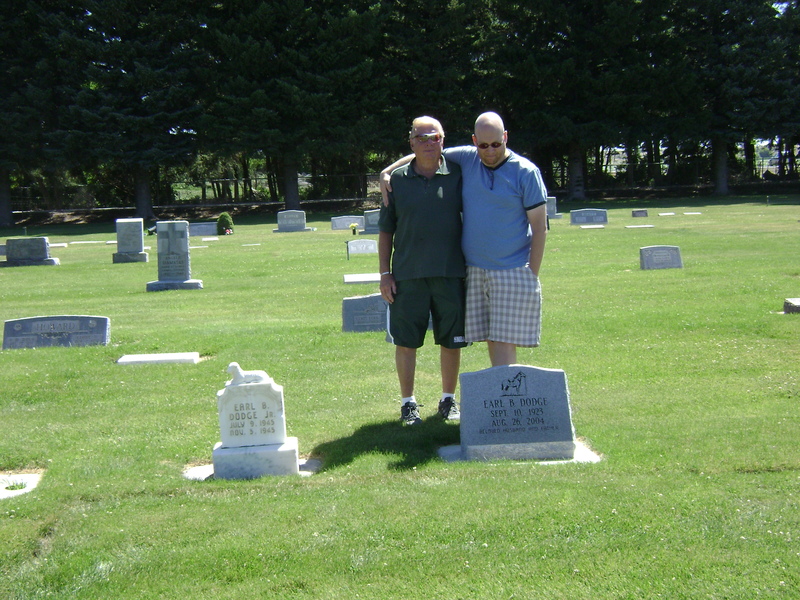 Early Memorial Day our extended families gathered and caravanned to graves scattered between Picabo and Shoshone where we erected the decorated crosses in remembrance. Along the way we’d stop for coffee, hamburgers, laughter, and tears. Here in southern Idaho, Decoration Day often brings a parade of campers leaving town early Friday to get the best camping sites in the forest. To many it signifies the first three-day weekend welcoming summer with a promise of crackling campfires, roasted hotdogs, and s’mores. Maybe Dmitri was right when he said Decoration Day was like Christmas. Camping by a stream or decorating graves, no matter what we do, Memorial Day is the perfect time to remember those we love, and celebrate the people we’ve been fortunate to have in our lives, a perfect time to enjoy a family tradition. This entry was posted in Bonnie's Blog, Valley Life, year 2015 archives and tagged Christmas, Decoration Day, Family, family tradition, Memorial Day. Cassie stood at the kitchen window, her hands wrapped around a coffee cup for warmth. Outside, snow swirled in a series of mini tornadoes, not that she’d ever seen a tornado, or snow, either, for that matter. A snow tornado, that’s how she’d describe it to her mother back home in Seattle. Between the steam from the coffee fogging her glasses and the swirling snow outside it was impossible to see the corral let alone her husband Jim. “I need to put Ole Henry in the barn,” he had said as the snow started to fall. That was thirty minutes ago. She was sure the horse was no longer outdoors, but that gave Cassie little comfort as she watched the sky thicken with snow. She shivered while upstairs the twins squealed as they wiggled into their new snowsuits. Cassie smiled. As if this snow was going anywhere, not if you believed the meteorologist on Channel 7. If she’d been more of an outdoors’s girl she’d button her coat and join her children. But she was a city girl, more in love with Seattle than the Idaho prairie, so she let them enjoy the excitement of their very first snowfall without expressing her discontentment. They giggled their way toward the kitchen. Tracey had her stocking hat on inside out and Stacey had her scarf wrapped so tight around her neck all Cassie could see were her eyes. It was hard to believe Christmas was less than three weeks away. In the four short months they had been on the Camas Prairie, Cassie’s sickly-looking six-year olds had blossomed into sturdy pioneer stock. Freckles bridged their noses, and their once pale faces were now the golden color of honey. If only their grandmother could see them, Cassie thought. She wouldn’t believe their transformation. Cassie bristled. This stupid farm was driving a wedge between them. What did they think they were doing anyway, a Seattle attorney and accountant on a run-down farm in the middle of nowhere? Her poor attempt at a garden had proved a disaster. Mending fences filled her hands with calluses and broken fingernails. And the grasshoppers and rabbits ate better than she and her children. “It will bring us closer as a family,” Jim had promised as he transported them from Washington to Idaho. Fairfield, Cassie thought the moment she saw the farm. Nothing was fair about Idaho or the abandoned ranch either where cell phone reception was spotty at best. Four months, but it felt like years. She finished her coffee, then pulled her camera from the top of the closet, buttoned up her coat and joined her family outside. “Watch out, Mom!” Tracey said, as a snowball whizzed over Cassie’s head. Before Cassie could duck, another hit her square in the face. Cold and icy, the snowball fight was anything but fun. “Thanks!” Stacey’s cheeks were red; her eyes sparkled like fairy dust. The only thing that would make them shine brighter was Tinker Bell appearing with her magic wand. “Cheese.” Her twins smiled as Cassie clicked the camera. Jim looked pointedly at her. Without a word he walked toward the barn. Go, she thought. Go talk to your stupid horse. “Farmers since they’re too busy any other time of the year.” She looked at her plate, and they finished the meal in silence. While Cassie cleaned up the kitchen and washed the dishes, she made a decision. She was going home for Christmas, even if she had to go alone. The next morning, after the twins were safely in school, Cassie stopped at the library. A large sagebrush sprayed white and decorated as a Christmas tree stood in the middle of the lobby making everything smell pungent instead of like pine. All the decorations were homemade, including the paper garland and tissue paper snowflakes. Ornaments in the shapes of stars and candy canes cut from paper plates hung from the twisted branches. Pretending to admire the artwork, Cassie turned a glittery pink star over, startled to see her child’s name written in bold red letters: Tracey Ann Mink – 1st grade. She searched until she found the other, a candy cane colored red and green: Stacey Marie Mink – 1st grade. Beside her name, Stacey had added a smiley face wearing a Santa’s hat. They hadn’t mentioned decorating a sagebrush, had they? No, she would have remembered. Cassie chewed the inside of her cheek while she waited for her computer to connect to the Internet. Why was she the only one who couldn’t seem to bond with this stark Idaho landscape? As soon as she was on the Internet, Cassie purchased three plane tickets to Seattle. After checking email and her Facebook page, she turned off her computer and drove the ten snowy miles home, all the while humming, “I’ll Be Home for Christmas.” The storm had passed, leaving everything glittering white. The contrast between the blue sky and the white trees was striking she had to admit, prettier than the dreary gray skies she knew her mother was experiencing in Seattle. Everyone stopped eating. The only sound in the kitchen was the refrigerator running. “He can still bring your presents here. That way you can celebrate Christmas twice,” Cassie negotiated. “It won’t be the same,” Tracey pouted. “I’m sure someone else can help her out,” Cassie coaxed. “Fine.” Cassie was disheartened but she wasn’t defeated. The following Monday she drove into Fairfield. Again using the library Internet, she cancelled the twins’ tickets and changed her ticket from a week to a long weekend. She’d spend Christmas Eve with her mother at Westlake Park and fly back Christmas day in time to wish her children Merry Christmas. With Christmas coming the twins were so excited their happiness was contagious. All week long they practiced the songs they would sing in the Christmas assembly at school. What Cassie had convinced herself would be easy, was proving hard to do. She didn’t want to be away from her children at Christmas, but she didn’t want her mother to be alone, either. As she backed out of the driveway and pointed the car toward Boise, she tried to mimic the twins’ holiday spirit. “Oh Christmas tree,” she sang as she maneuvered the icy roads. “I’ll be home for Christmas.” In spite of the happy songs, her heart was heavy. But the surprised look on her mother’s face would make the sacrifice worthwhile. She’d be back soon. She wouldn’t miss their Idaho Christmas. Her parting with Jim had been icy at best. He didn’t kiss her goodbye; he didn’t wish her a Merry Christmas. “Watch the roads,” he’d said before walking off to the barn. She knew in her heart if something didn’t change soon her marriage was doomed. But she would worry about that next week after the holidays. Next year was soon enough to decide how to resolve their differences. Arriving early for her flight, Cassie stopped at Starbucks in the Boise Airport and enjoyed a real cup of coffee. Along with their festive display Starbucks was selling holiday coffee cups: Snowmen, candy canes and reindeer. She selected two cups, each painted green and red to look like elves’ shoes. She envisioned filling the cups with hot chocolate on Christmas Eve and settling down to a movie on TV, maybe “It’s a Wonderful Life” with her mother. The thought made her smile. Why, then, was she so close to crying? Christmas was everywhere, in the corridors, on the escalators, and especially in families reuniting again. Cassie watched as family members greeted holiday travelers with hugs and kisses. She almost cried when a young woman holding a baby embraced her husband returning from active duty. She kissed her husband repeatedly, “This is the only thing I want for Christmas. I’m so glad you made it home. Just like you promised.” The soldier smothered the baby with kisses and Cassie had to look away to stop her tears. Finally they called her flight. As she stood in line to board the plane the anticipation in the air was catching. Everyone was headed home for Christmas. Cassie squared her shoulders. My mother needs me. She dug through her purse and found her ticket. My husband needs me. Ticket in hand for scanning, Cassie knew instantly no matter how much she hated Idaho, no matter how much she missed her mother, she loved her husband and children more. Cassie fumbled with her purse. “Oh, I think I lost it.” She picked up her carryon and stepped out of line. As Cassie passed Starbucks she stopped and picked up two more coffee mugs. She’d fill them with hot chocolate Christmas Eve after they decorated the tree. It could even be a scrawny sagebrush sprayed white, it wouldn’t matter as long as they were all together. She’d be home to hear Tracey sing and to see Stacey hang the star. She’d be home in time to kiss her husband good night and tell him how much she loved him. Cassie pulled away from the airport and onto the interstate highway. She wouldn’t wait to see their faces. “Oh Christmas tree,” she sang. Only two more hours. She’d be home in time for Christmas. This entry was posted in Bonnie's Blog, year 2014 archives and tagged Bonnie Dodge, Christmas, Home in Time for Christmas. 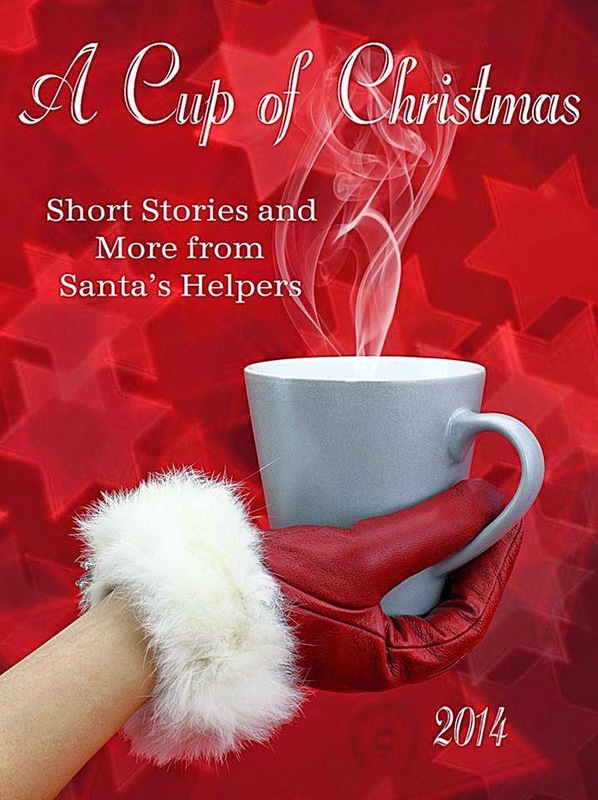 A Cup of Christmas is a lovely mixture of award winning authors. 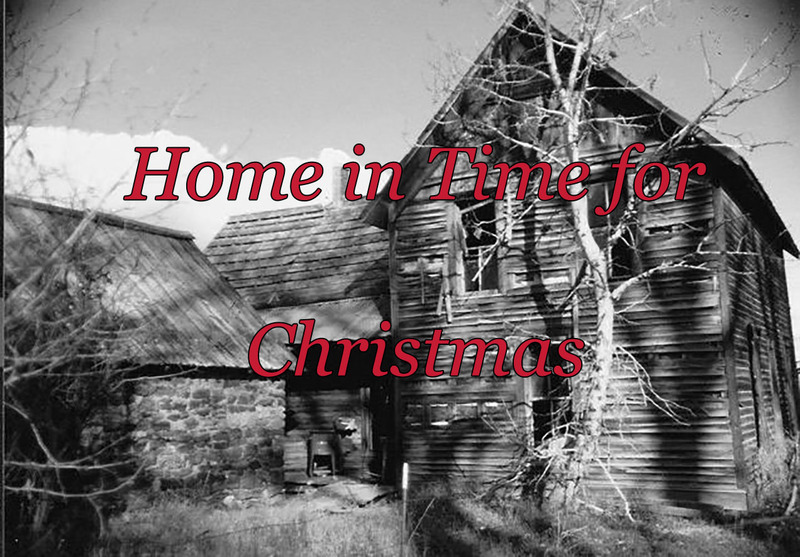 My story, “Home in Time for Christmas” is a story about Cassie and Jim Mink from my Fairfield, Idaho, collection. Cassie wants to return to Seattle to spend Christmas with her widowed mother while Jim wants his family to experience their first Christmas in Idaho. Other stories include Christmases remembered through the years and family traditions. Just how did Daddy shoot the Christmas tree? Romance, an urban fantasy, a mysterious ethereal boy, an elderly man with a new lease on life, a dog wedding, Santa in love, a Texas beauty pageant, Rich’s Department Store remembered, a Vietnam Christmas, and a fairy tale about wanting your heart’s desire . . . the list goes on. Contributing authors to A Cup of Christmas include: Kimberly Brock, Jackie Bouchard, Karen E. Martin, R. Leonia Shea, Jane-Ann Heitmueller, Renea Winchester, Audrey Frank, Tori Bailey, Cynthia Graubart, Morgen Bailey, DJ Thomason, Beth Crews Rommel, Jackie Rod, Georgia Lee, Rosemary Dixon, Jamie Salisbury, Kerry Alan Denney, Lane Sebesta, Ramsay Brown, Doug Dahlgren, Penny White, Amie Ray Davis, Bonnie Dodge, Michael W. Paul, Deborah Myers Lewis, Tara Joyner Haussler, Rena Blain, Helen Ross, Howard Johnson, Karen Brown and Barbara Barth. DON’T MISS OUT. MARK YOUR CALENDARS TO GRAB YOUR FREE COPY NOW! This entry was posted in Announcements, Books and tagged A Cup of Christmas, anthology, Bonnie Dodge, Christmas.